Boro defender Ryan Shotton loses out on a cross as Villa keeper Sam Johnstone makes a clean catch last night. The late controversy in Middlesbrough’s second-leg stalemate with Aston Villa dominated the post-match analysis after home keeper Sam Johnstone handled outside his area. But it couldn’t hide the fact that ultimately Boro had not done enough on the night, or over the two legs, and didn’t deserve to reach the Championship play-off final. Referee Mike Dean deemed Villa keeper Johnstone wasn’t denying an obvious goalscoring opportunity, with a covering defender, so he got away with a yellow card. Villa boss Steve Bruce admitted afterwards that it could have been a red, while Boro chief Tony Pulis described it as a “disappointing decision”. It wasn’t to be and, truth be told, it had little impact on the game, with it coming so late, in the 87th minute. From the resulting free-kick, Stewart Downing smashed the crossbar. It was the closest Boro had come all night to breaching the Villa defence. Too little, too late. In a game they had to score in, they failed to register a single shot on target and their best player was keeper Darren Randolph. That said it all. Boro lack ideas, creativity, were toothless in attack with too many sideways passes in midfield and not enough invention when it mattered. Those are the areas Boro must strengthen in the summer. Adama Traore’s threat was again snuffed out, while Britt Assombalonga didn’t offer a threat up front, though the service to him was desperate. Boro had two efforts on target over two legs. In the end, Boro ended the season with a whimper and will be playing Championship football again next season, hopes of an instant return to the Premier League up in smoke. With Dani Ayala missing with a knee injury, Dael Fry, 20, was drafted into the Boro starting line-up, the only change for Boro. The atmosphere at Villa Park was electric, pre-match flames, banners, the Holte End and travelling Boro fans in superb voice. The stage was set. Villa started well, showing far more purpose and not sitting back on their 1-0 first-leg advantage. Their tactic of doubling up on Traore was again evident, along with a constant attempt to get the ball quickly to ex-Boro winger Albert Adomah, who targeted Ryan Shotton and Fry on the right-hand side of Boro’s defence. Boro were nervy; Fry, Stewart Downing, Shotton and Jonny Howson all giving the ball away in the opening 10 minutes. Randolph saw his hurried clearance from a casual Adam Clayton backpass chased down by Conor Hourihane, with Boro fortunate to get away with it. Villa were quicker and slicker in possession and showed more intent going forward in the opening stages. It took Boro 15 minutes to finally settle. Boro struggled to get Traore into the game, Pulis’s plan to get the ball to him quicker not working. By the half hour mark, the game had turned into a scrappy affair, with neither side able to build any sustained pressure. Tight and tense, both teams were afraid to make a costly mistake. 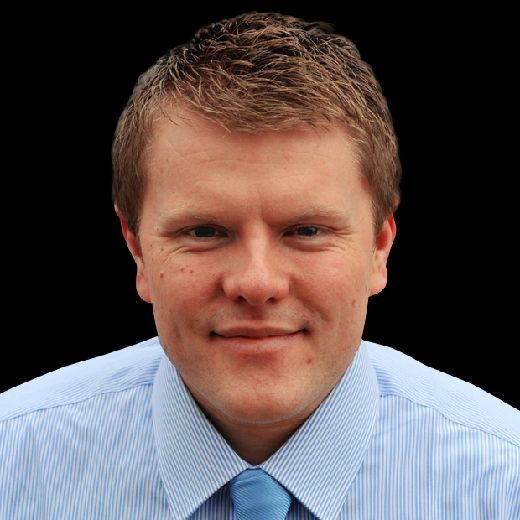 Villa squandered a brilliant chance to take the lead on 39 minutes, when former Sunderland loanee Lewis Grabban nodded down to James Chester, but the defender drilled his low effort wide. Boro had a half-hearted penalty appeal two minutes before the break, Assombalonga powering past several Villa players before his run was ended – fairly. Boro failed to manage a shot on target in the first half and it didn’t get any better in the second period, with Besic rolling a 20-yarder wide in the early exchanges. With the game opening up, Villa almost extended their overall advantage on the hour mark, Adomah breezing past George Friend before finding Grabban six yards out. His stabbed effort, though, was superbly stopped by Randolph. 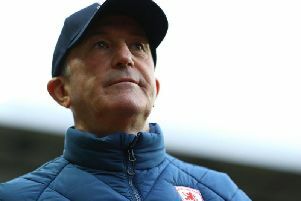 Pulis looked to his bench with 67 minutes gone, Patrick Bamford coming on for Assombalonga, with the Boro boss keeping faith with the same system. A pile-driver from Grabban was then tipped over the bar by Randolph with 20 minutes to go, as Villa showed more intent than Boro. Randolph was proving to be Boro’s star performer, producing another fine save in the 75th minute, diving to his left to deny Grealish’s 30-yard effort. It was all Villa, with Boro struggling to get out of their own half as the clocked ticked down, a Randolph saved again, this time from Hourihane. Boro finally sparked into life late on, with Johnstone booked for handballing outside his area as Traore tried to loft the ball over him. There was controversy over whether it should have been a red, but the referee went for a yellow card, and Downing’s resulting free-kick hitting the bar. It was the closest Boro came. The Teessiders’ promotion dream is over, with Pulis left to plot another season in the Championship.